Total Burnside Bridge improvement cost was estimated at $18 to $22 million. In 2015, Multnomah County inspected the six Willamette River bridges it maintains to see if any of them need repairs or improvement. This study resulted in a report called the Willamette River Bridges Capital Improvement Plan (CIP). 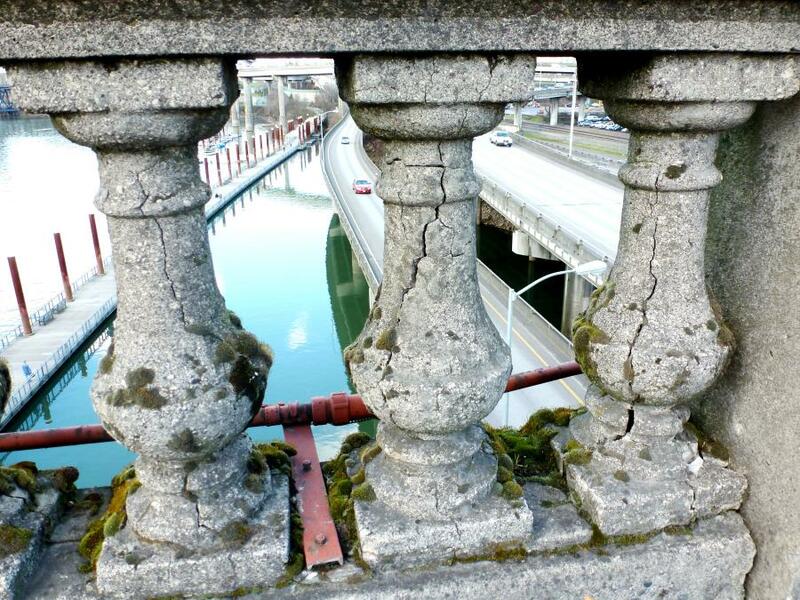 The plan showed that the Burnside Bridge needed the most repairs. The Burnside Bridge is in the heart of downtown Portland and serves 40,000 vehicles per day and 2,000 bicycles and pedestrians. The lift span opens 300 times a year for river traffic. With safety being the top priority, officials decided to make Burnside the first bridge to improve. The Burnside Bridge Maintenance Project's goal is to repair and upgrade the bridge for another 15 to 20 years of operation. The bridge has several problems that need immediate attention including cracked and crumbling concrete, rusty steel framework and an outdated electrical system. Project planning was completed in 2016. Construction began in February 2017 and will last through the fall of 2019. The project includes improvements along the west approach, main bridge spans and east approach, extending from 1st Avenue on the west across the length of the bridge to 2nd Avenue on the east. Total improvement cost was estimated at $18 to $22 million, with Springfield contractor Hamilton Construction coming in at $19 million. The designs were provided by HDR Inc. of Portland, and the bridge is owned by Multnomah County. Surface rehabilitation is directed to spot repairs on the pavement, sidewalks, overhangs and railings. 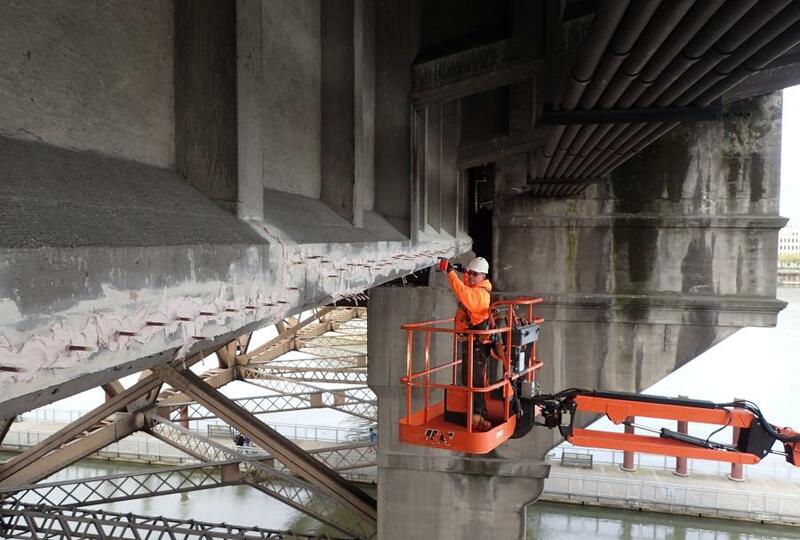 Crews are replacing expansion joints (which allow bridge sections to expand and contract with temperature change), remodeling the interior of the operator houses for the lift span and repainting signs. Structurally, Hamilton is performing FRP and crack injection work, MPCO and polymer overlay work, joint repair and replacement. 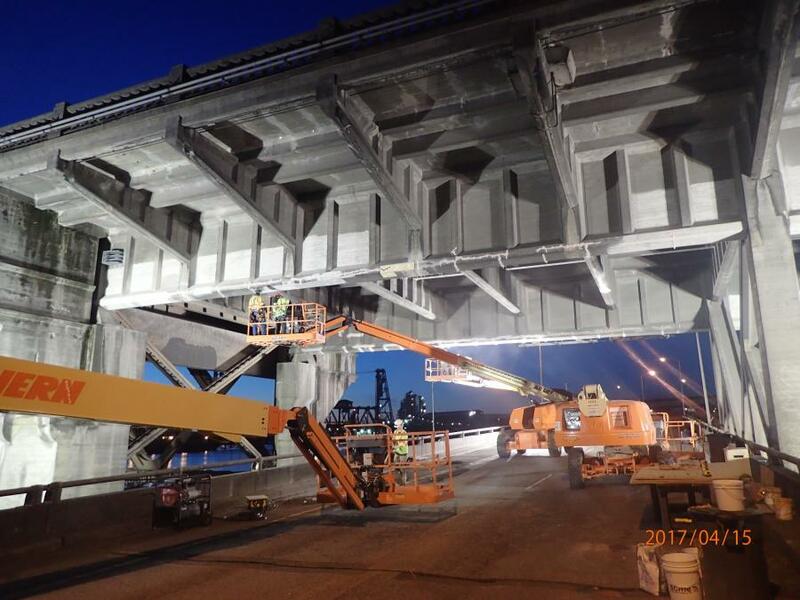 Work also includes floor beam strengthening on the concrete approach spans, concrete rehabilitation and ladder/rail retrofit inside the pit of the lift span piers, lift span re-balancing, and extensive traffic control. Steel trusses will be painted, and internal steel towers connected to the piers will be repaired. The plan calls for replacement of the drawbridge span locks and motor, with upgrades to the power supply and drawbridge controls. While the bridge repairs are taking place, Multnomah County also is looking for ways to make the bridge resilient during earthquakes. 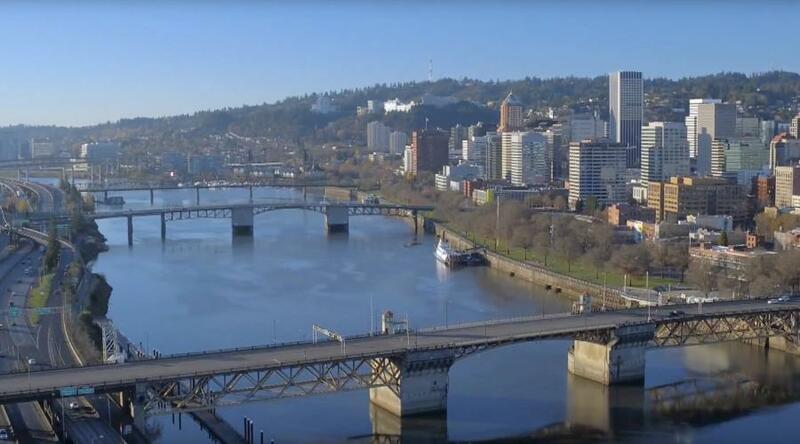 This separate project, called the Burnside Bridge Seismic Feasibility Study, will last two to three years and experts will use the information from the study to come up with options on how to keep the bridge safe in an earthquake. The bridge is considered to be the east-west “lifeline” route over the Willamette River for emergency vehicles in the event of an earthquake. “It will take us years to plan and prepare the Burnside Bridge to be our earthquake emergency crossing, so we need to get started now and make steady progress toward the goal,” said Ian Cannon, Multnomah County Transportation director. “According to scientists, [this area has had] 41 earthquakes over the last 10,000 years of more than a magnitude of 8. On average, they happen every 300 to 350 years with the last one in January of 1700. We are 317 years into that cycle, which means we're expecting an earthquake any day,” noted Allison Pyrch, geotechnical engineer. 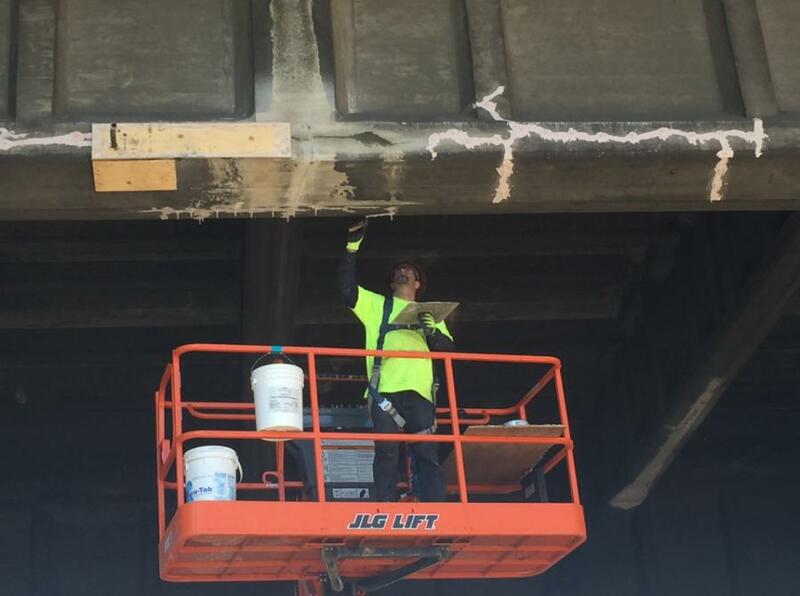 Hamilton Construction's team completed repairs to concrete cracks under the Burnside Bridge in the spring of 2017. Epoxy was injected into many cracks to keep out water that can rust steel rebar inside the concrete. Decades of dirt and exhaust were cleaned from the concrete before the epoxy was injected into ports positioned along the cracks. Early this month, the year-long closure of two lanes across the bridge began in order to make repairs to the pavement, sidewalks and railings, along with below-deck painting. Several night closings throughout 2018 may also be necessary.